Enjoy the Workout and Shed those Extra Kilos. It is a great fitness program that combines music with some amazing and fun-filled probe moves with exercises very well embedded for you to Enjoy your exercise & kick out the Calories. Strengthens your heart, increases your lung capacity and creates endurance. Provides you better flexibility and strengthens you from within. 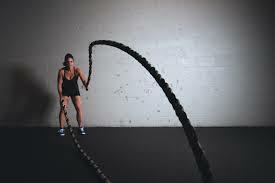 You will feel more energized and active when you try Crossfit.